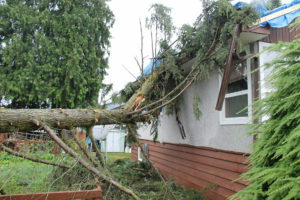 Old or sick trees can become hazardous if they begin to drop branches, and even a healthy tree can turn dangerous after suffering from extensive storm damages. Don’t let dead or partially attached branches and limbs fall and cause an avoidable injury or death. ArborCare Tree Service, provides Hazardous Tree Removal services to utility companies throughout Western Canada. We can help protect you – and your customers – by removing dangerous trees in your service area long before – or after – they’ve become a safety hazard. To get started, or if you have any questions about our hazardous tree removal services in Calgary, Edmonton, Vernon, and surrounding areas in Western Canada, simply contact ArborCare Tree Service. via phone or email. We’d be more than happy to provide you with a free estimate. Don’t delay; obtain peace of mind from hazardous trees today!